The use of robotic surgical system to assist surgeons in performing microvascular anastomosis has raised important issues regarding surgical training and assessment. In conventional microsurgery, attending microsurgical training courses has become the gold standard for practical skill acquisition. Among various assessments of training, the global rating scale of objective structured assessment of technical skill (OSATS) has consistently found to be valid and reliable. The learning curve can be defined as an improvement in performance with experience and practice. This improvement tends to be more rapid at first and then decreases over time as the curve reaches a plateau. It has been demonstrated that the important aspects of learning curve including the learning plateau and the learning rate can be estimated by statistical method. Understanding the parameters of learning curve is important to establish a robotic microsurgery training program. Training and assessment for robotic-assisted microsurgery is a complex procedure, and these need to be accompanied by constructive feedback from experienced microsurgeons. 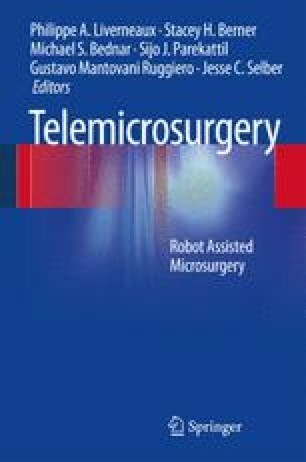 The guidelines and recommendations for preceptoring robotic-assisted microsurgery will be necessary to ensure the safety of patients and surgeons while initiating a robotic microsurgery program in the future.